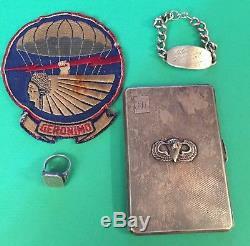 One of a kind World War II paratrooper items included in this lot; ring, cigarette case, uniform patch & id bracelet. 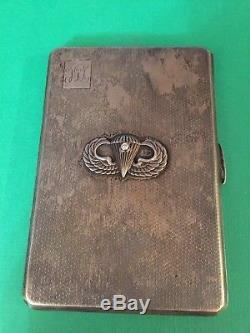 The soldiers name is on his military id and his initials are on his ring and cigarette case. 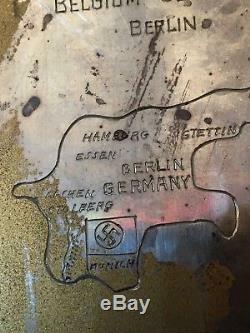 These items were owned by a soldier in the 507th Parachute Infantry Regiment. 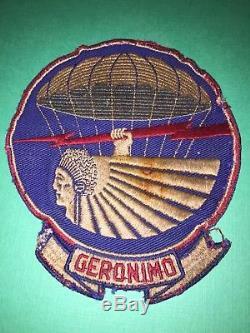 This Regiment participated in three operations during World War II : D-Day, Battle of the Bulge & Operation Varsity. 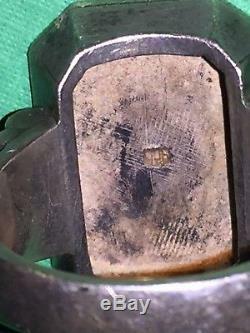 925 size 10, weighs 13 grams. Bracelet ID tag is marked Sterling, weighs 48 grams, 8 inches long. 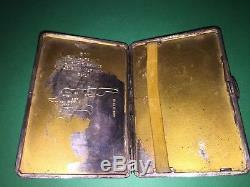 Cigarette case measures 5 inches X 3 1/2 inches & has a diamond that is between 1/8ct. Perfect condition, no dents or damaged edges. Contact me with any questions. Please research further if you are interested in the in depth history behind it, it can be found easily! 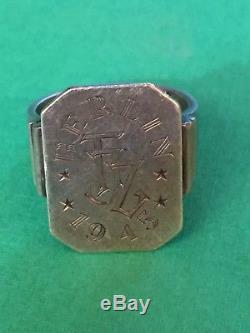 The item "World War II ONE of A KIND Collection Sterling Silver Cigarette Case Ring ID Tag" is in sale since Sunday, January 6, 2019. 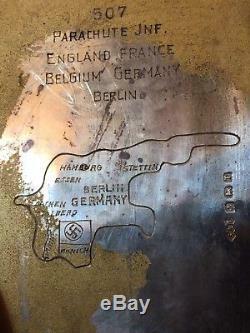 This item is in the category "Collectibles\Militaria\WW II (1939-45)\Original Period Items\United States\Other US WWII Original Items". 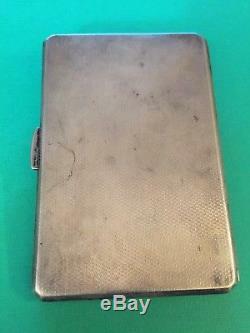 The seller is "leebordo09" and is located in Syracuse, New York.